Amy Adams is nominated for Best Actress in a Supporting Role for The Master, thus the actress was on hand at the 85th Academy Awards Nominees Luncheon in Beverly Hills. 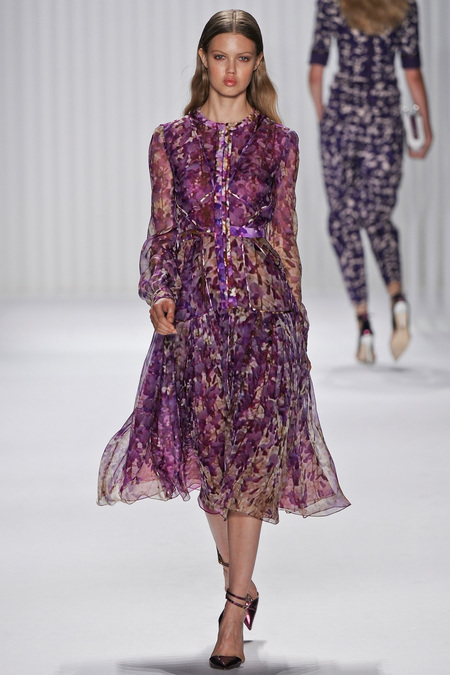 She opted for a Wisteria Printed Silk Chiffon Long Sleeve Dress with a Cut Out Back from J. Mendel’s Spring 2013 collection. Visit www.jmendel.com for more information and see Amy’s dress on the runway below, worn by Lindsey Wixon.